I think there's no need to introduce that car to anyone on this planet. 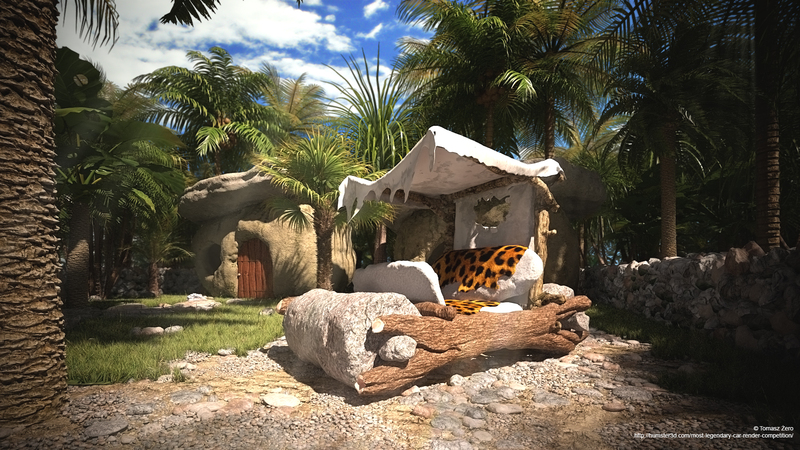 The Flinstones - cult cartoon with characteristic "Yabba Dabba Doo" shouted out by Fred was one of the first cartoons I've ever seen - for sure one or the most memorable ones. So, Fred's car, powered by the strenght (and speed) of his feet was something superb special and amazing! That's why I decided to make the visualisation of this legendary automobile. Project was made within last week or so. 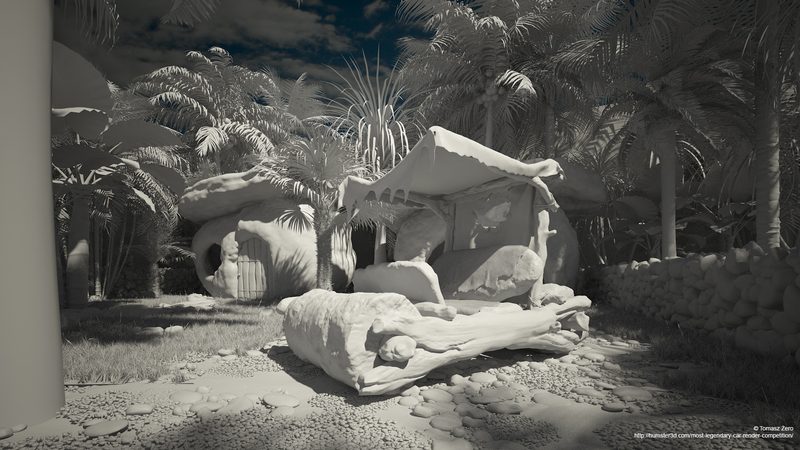 I tried to catch corresponding sorroundings as Flintsone's House and enhance it with some sub-tropical prehistorical plants. Everything here, except sky is full CGI scene lighten with HDRI. Nice idea. To me the whole image looks way too cg and stone and trees looks really plastic. Like I said, the idea is fun but the final technical presentation is still not there and needs a lot more work. Plastic? I wonder what kind of plastic? The scene really looks great to me. Excellent work!